Thursday, November 15, 2012 at 6:00 p.m. This is our biggest family event of the year. Invite all your family and friends to joins us. Thank you so much for your generosity and your support of Christian Education. We want to personally invite you to our Annual Dinner and Silent Auction. We are looking forward to spending this special evening together as a school family. The dinner and festivities will all take place in the Gym. Silent auction items will be set up at the Dinner and on the CCA website for early bidding. After the dinner and entertainment the silent auction winners will be announced. Click on the ticket order form in the box on the left to be completed and returned to the Academy office anytime before Monday, November 12 by 4:00 p.m. We must give the caterer a head count to properly plan for the meal. Thank you, in advance, for your EARLY reservations. 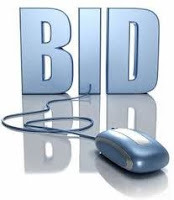 If you or your company would like to donate an auction item please contact Donna De la Torre in the Academy office at (310) 327-3094 to arrange for a tax donation letter and pick-up and/or drop-off of auction items. For an extra flair come dressed in a costume. Dress like a those at the first Thanksgiving (Pilgrims, Native-Americans), a Harvester (farmer), etc...anything harvest related (Optional), be creative! There will be prizes for "The Best Dressed".